Want to See The Legend of Hercules early and for free? Want to see Kellen Lutz, best known as Emmett Cullen (brother Robert Pattinson’s Edward in the Twilight films star in a revenge-fueled take on the Hercules myth? Sure you do. Well either way, everyone love a free movie, especially before it comes out on Friday, January 10th. 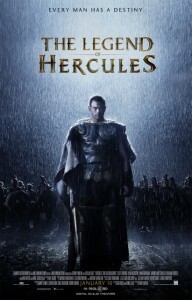 The screening will be held THE LEGEND OF HERCULES, Thursday January 9 at the Rave University City at 7:30pm. Passes are first come, first serve, and do not guarantee you seats. Some people show up hours early, so keep that in mind. Luckily it will be a lot warmer out by Thursday! To claim your pair of passes, go to Gofobo, and use RSVP code CINETQ4Q. In the epic origin story THE LEGEND OF HERCULES, Kellan Lutz stars as the mythical Greek hero – the son of Zeus, a half-god, half-man blessed with extraordinary strength. Betrayed by his stepfather, the King, and exiled and sold into slavery because of a forbidden love, Hercules must use his formidable powers to fight his way back to his rightful kingdom. Through harrowing battles and gladiator-arena death matches, Hercules embarks on a legendary odyssey to overthrow the King and restore peace to the land.